You became too sick for Mommy and Daddy to let you continue on. We miss you every single day. The pain hasn't lessened yet. I think of you several times per day. 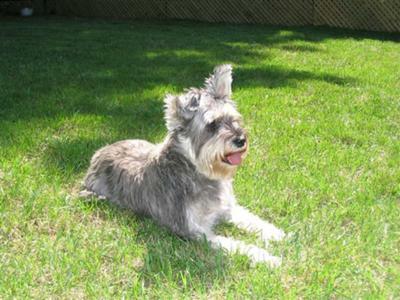 Thank-you for being the best Mini Schnauzer you could have been. We were privileged to have had you. Loving you, missing you and pining for you. Mini Schnauzers are special, aren't they? My little guy Fritz was with me for almost 15 years before God called him home in November of 2009. I still miss him each and every day. They are bundles of energy with the hearts of lions! Loyal, loving, friendly and fun. If your girl was anything like my Fritz, I know the gates of Heaven are being guarded well. I am so sorry for your loss. I lost my mini schnauzer back in May. It was the hardest decision I have ever had to make, but I knew it was the last loving thing I could do for her. She was with me through thick and thin. She was also my best friend. She was a wonderful dog, and it is a great breed. 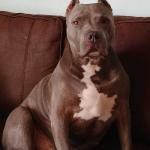 I have to laugh, because the breed thinks they are a big dog in a little dog's body. I have had 4 of them in a span of 30 years. I hesitated about getting another one, but in the spring I am going to do it. I just love them so much I just know my Carley Girl would approve. I hope soon you will remember the good times you had with your sweet girl, and how much better your life was with her in it. Take care. It does it a little easier with time.